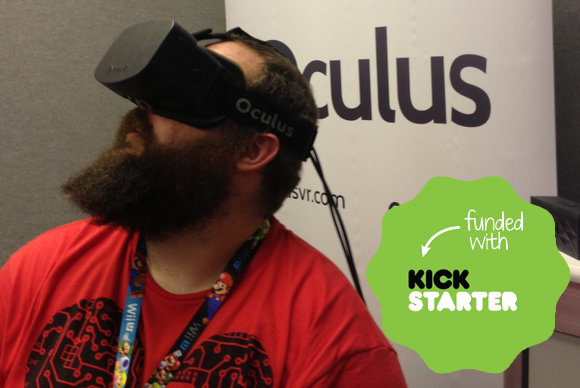 Everything you've heard about the Oculus Rift is wrong. Well, not all of it. It definitely is a groundbreaking, affordable virtual reality headset, and Facebook did just drop a staggering $2 billion on Oculus. But beyond those basic facts swirl several inaccuracies that paint a skewed picture of the Rift. Let's blow a few of those out of the water. Do believe the Oculus Rift hype, but don't believe all you hear about it before reading this. Yes, the primary focus for the Oculus Rift has been games right from the beginning, and most of the early software that taps into the innovative hardware are of the "pleasurable distraction" variety, but the Rift holds potential for far greater uses. A large part of the reason Facebook spent that $2 billion is because Zuckerberg can see that future. 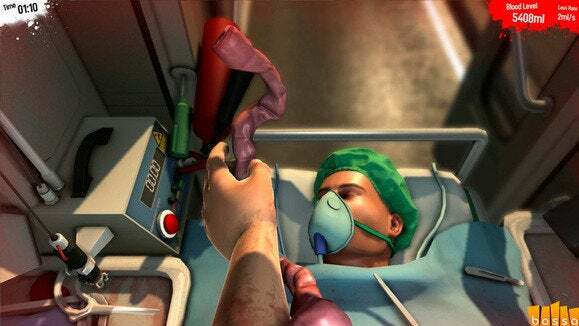 Bossa Studios' Surgeon Simulator is a game, but with its Oculus Rift and Razer Hydra motion controller support, it hints at what the Rift could one day bring to medical students. "Imagine sharing not just moments with your friends online, but entire experiences and adventures," he said in the after-purchase call to Facebook investors. "Oculus has the potential to be the most social platform ever." That potential is already becoming reality. At SXSW this year, HBO used the Oculus Rift to give people virtual tours of Game of Thrones' Westeros (shown below). And long before Zuck opened his wallet, PCWorld took a peek at the non-gaming uses of Rift, which include healing the sick, sending students around the globe, and deeply connecting with others no matter where they are. "In the first 30 days on Kickstarter, we started getting almost inundated with emails from people in [nongaming] markets," Oculus VR CEO Brendan Iribe told PCWorld last July. "A lot of them came from medical fields, the military, architecture, automobile design, even fitness. There were just so many people reaching out to us." In other words: This is no mere toy. Virtual reality has a particularly nasty monkey on its back: Motion sickness. The brain trickery VR headsets engage in all too often lead to queasiness and feelings of regret. That nausea has been greatly reduced with the Oculus Rift, however. 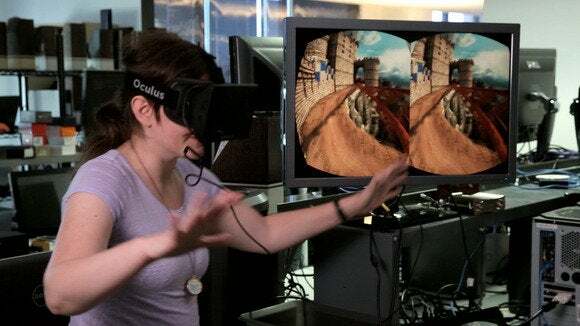 Sure, some people still get sick using it, especially with the original low-res developer kit, but the Rift's superb low-latency head-tracking makes nausea far less common than in previous VR solutions. (Sitting down while using it can help.) In fact, more advanced versions of the Oculus Rift like the Crystal Cove and Dev Kit 2 prototypes sport higher-res, low-persistence OLED displays and even more potent internals, which greatly reduce the already-slim chance of upsetting your stomach. 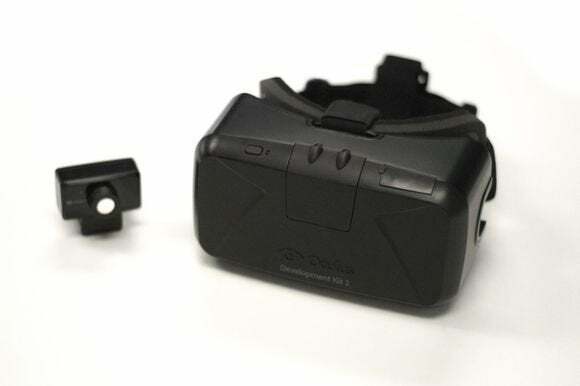 The second-generation Oculus Rift developer kit includes vastly improved hardware and a small camera for positional body tracking. You can buy an Oculus Rift headset on the Oculus website today, and there are thousands and thousands of the headsets already being used out in the world. But Oculus Rift is not being sold for general consumer use. The headset available today is a developer kit designed to help software makers create cool things for the Rift. Oculus VR has yet to announce a date for the launch of a consumer version of the Rift. Sony's Project Morpheus prototype for the PlayStation 4, as shown at GDC 2014. Oculus Rift is synonymous with 'consumer VR headset,' and for good reason: It's far and away the most polished, least janky solution around. But that doesn't make it the only solution around. A wide range of companies are developing virtual and augmented reality headsets of their own, including game-industry heavyweights like Sony (of PlayStation fame) and Valve (creators of the Steam PC gaming platform). Valve's been shy about unveiling its tech to the public, but the devs that tried it at Steam Dev Days in January were exceedingly enthusiastic, to say the least. There's a shade of truth in this myth, however. Most of those far-flung Oculus Rift competitors are still looking pretty rough. But more headsets are coming—just like the consumer version of the Rift itself. No. Just... no. The Oculus Rift is a stunning success story, the latest poster child for Kickstarter's mission to fund hopes, dreams, and potential. Kickstarter is not a toy store or a place to look for equity in up-and-coming companies. You can be mad about Oculus' selling out to Facebook, but to say that sale bastardizes the Kickstarter ideal is just plain wrong.